Africa's youth are bearing the brunt of the crisis on the African continent due to poor governance, not migration, according to a panel headed by former Liberian president Ellen Johnson-Sirleaf at the Mo Ibrahim Foundation weekend in Abidjan, Cote d'Ivoire that focused in the issue of jobs or migration for Africa's youths. “I think we're talking about migration today because of some indignation that our youth die in the oceans,” said Vera Songwe, executive secretary of the UN Economic Commission for Africa (UNECA), a panel member. “I think we should be totally unsettled by the fact that our youth are dying because of poor governance. They are not dying because of the oceans,” she added. African political and business leaders, civil society leaders and Africa's major international partners are assembled in Abidjan, Cote d'Ivoire, for the Mo Ibrahim Foundation Governance Weekend, held every year in a different African city, to debate issues that are important to Africa. The three-day event, which ends on Sunday, 7 April, focuses in part on Foundation report, “Africa's Youth: Jobs or Migration?”. 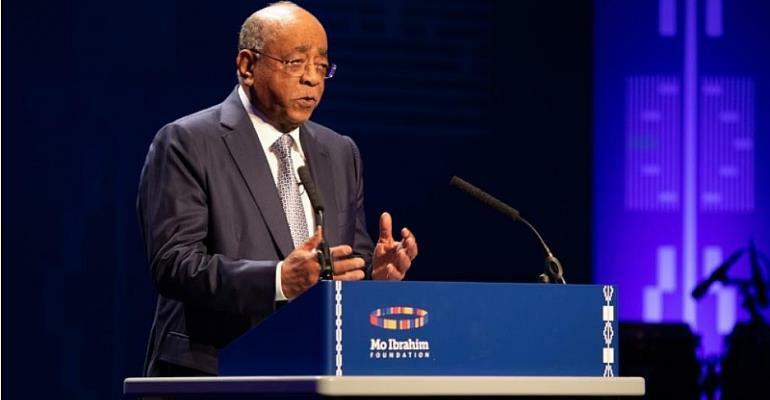 Mo Ibrahim, a Sudanese business leader turned philanthropist, opened his forum by outlining one of the key issues of migration, namely, the misconception surrounding African migration to Europe. “Most African migrants stay in the continent, actually. Seventy per cent of sub-Saharan migrants stay in Africa,” said Ibrahim. According to the report, migrants represented only 3.4 per cent of the global population, with African migration about 14 per cent, much less than Asia (4 per cent) or Europe (24 per cent) in 2017. UNECA head Songwe pointed out that the African continent receives nine per cent of migrants per year. “So the net migration for Africa is five per cent. It's not a big number,” she said. In comparison, the top 10 migration flows from Africa accounted for less than the single migration flow from Mexico to the US, according to the report. Songwe points to basic issues, such as the lack of state-issued identification that prevents people from thriving, and pushes them to leave. “We know that 500 million Africans do not have an ID. The minute you don't have an ID, you don't have access to anything, you don't have access to jobs, you don't have access to healthcare, you don't have access to inclusion, then you start trying to get out of the continent altogether,” she said. The positives include the African Union African Continental Free Trade Area, a deal already signed by 49 out of 55 African countries that would provide for visa-free access, freedom of movement, trade, tariffs removal on 90 per cent of goods. The deal will come into force once it is ratified by 22 countries. Songwe told the audience in Abidjan that governments need to look at the reality on the ground that good governance is key when speaking about migration. “So when we talk about migration, I really urge us not to talk about migration because it's an important discussion for us, we should talk about governance. Let our leaders not let us look in the wrong direction,” she said.